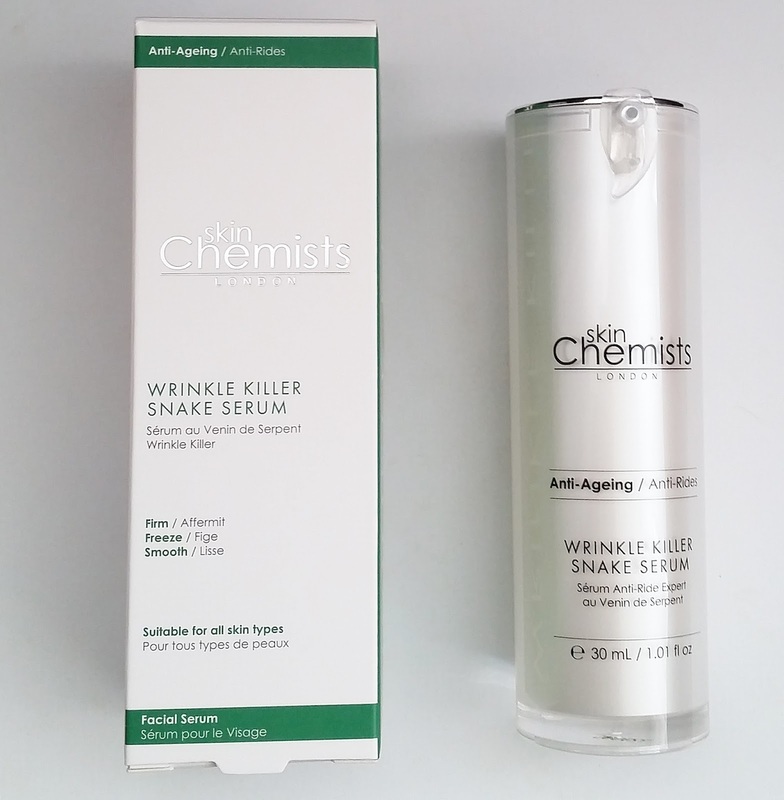 Home / SkinCare / Skinchemists Wrinkle Killer Snake Serum. 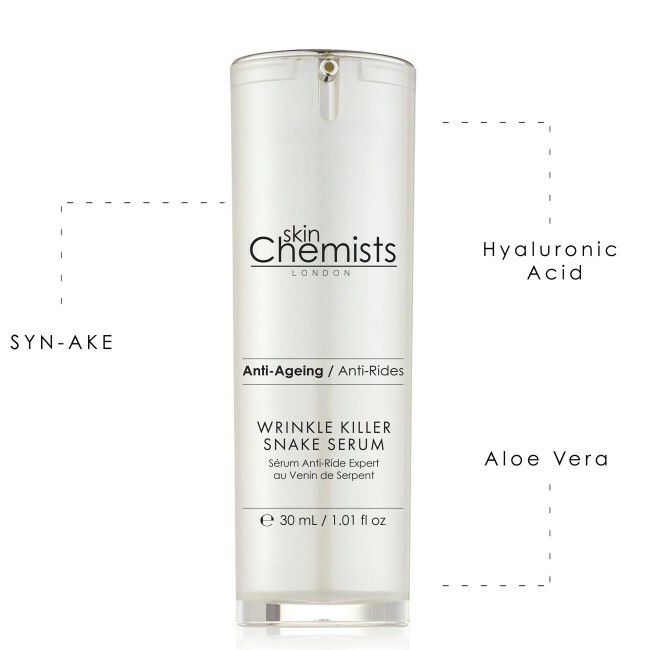 Skinchemists Wrinkle Killer Snake Serum. Skinchemists work alongside pharmacists, chemists, scientists and beauticians worldwide, to develop a highly effective range of luxury skincare products that actually work. The wrinkle killer snake serum is a multi-functional serum that aims to smooth, firm and hydrate your skin with each use whilst containing an award-winning ingredient. Containing ‘Syn-Ake’ that aims to reduce the appearance of fine expression lines and deeper wrinkles, the serum is a must have for any anti-ageing skincare regime. Syn-Ake is a synthetic peptide, so no real snakes were harmed when making this product. Syn-Ake: Aims to smooth the appearance of fine lines and wrinkles for a more youthful complexion. Hyaluronic Acid: Aims to moisturise the skin, to leave it looking softer, smoother and radiantly hydrated. Allantoin: Allantoin aims to nourish and hydrate the skin for a more youthful complexion. Aloe Vera: Works to soothe and calm the skin. Synthetic Syn-Ake tripeptide mimics functionality of a peptide found in the venom of the temple viper that aims to help reduce the appearance of wrinkles and laughter lines. Anti-Oxidant activity protects from free radical damage. Moisture holding properties smooth and hydrate the skin. 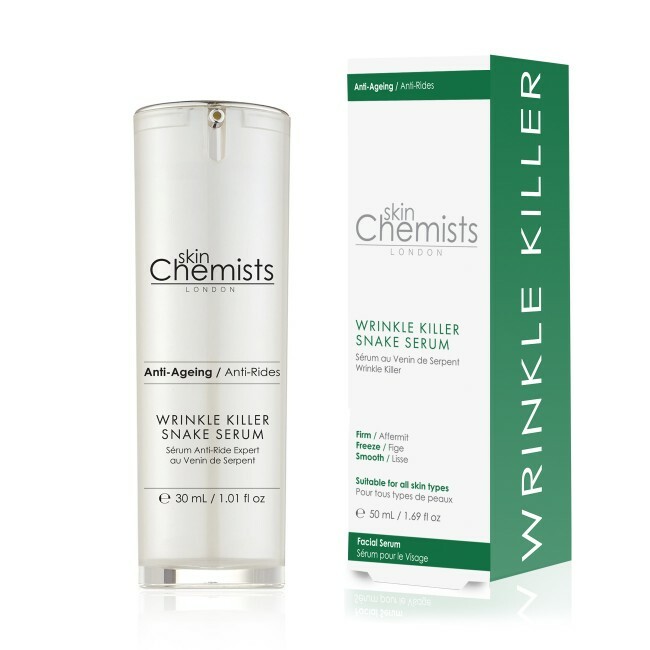 Application of the Skinchemists wrinkle killer snake serum couldn't be any easier. Applying to cleansed skin, after toning, using gentle circular motions the serum absorbs really quickly. The serum is contained in a stylish air tight pump bottle that dispenses a pea sized amount for you to apply both morning and evening. I was impressed on how my skin felt soft and supple whilst being perfectly hydrated throughout the day, without feeling overly greasy. Suitable for all skin types, you can introduce the snake serum into your skincare regime by either layering it with your usual serum, if your current serum is oil based you will have to apply the snake serum first as its water based. All water based products are applied first, before applying any oil based products, as oil can penetrate water but water cannot penetrate oil. You could alternate your days where you use the snake serum and on other days you use your current serum, either way you will feel and see the benefits when using this advanced skincare serum. 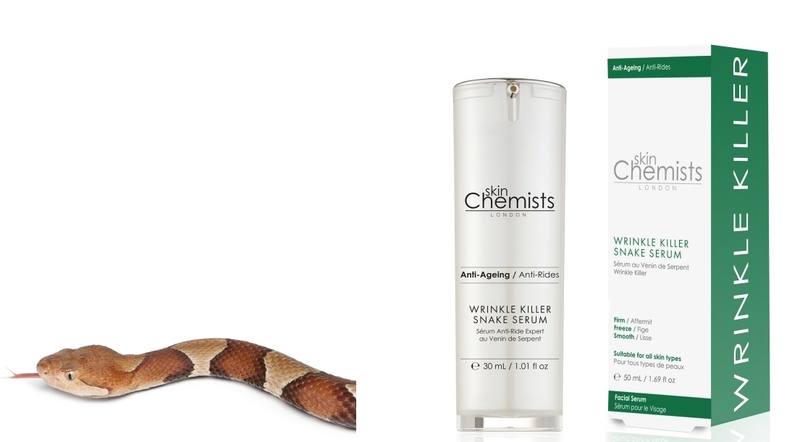 Find out more of the Skinchemists Wrinkle Killer Snake Serum and its award-winning range. X Neil.